Chrysler is an American subsidiary of Fiat Chrysler Automobiles, otherwise known as FCA US LLC. 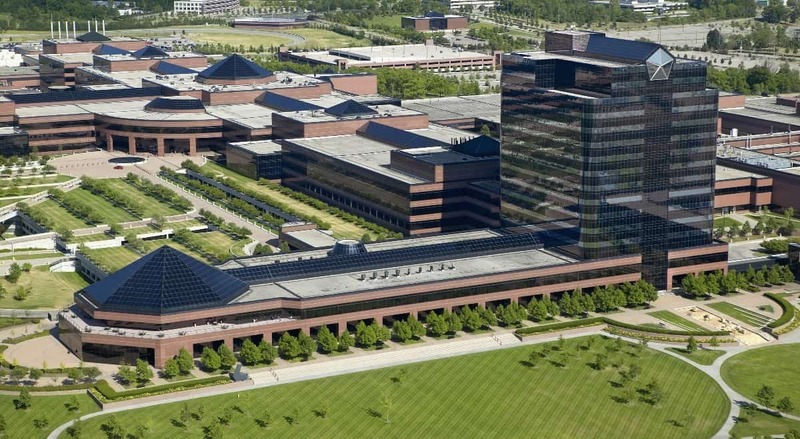 The parent company, Fiat Chrysler Automobiles N.V. is an Italian-American automaker that’s registered for business in the Netherlands but has their headquarters in the U.K. (mainly for tax purposes). FCA is considered to be one of the “Big Three” when it comes to American automakers. Their United States headquarters are located in Auburn Hills, Michigan. FCA sells vehicles across the globe through the brands Chrysler, Jeep, Dodge, Ram, Fiat, and more. They also run the Mopar division, which sells accessories and parts. Chrysler has been around since 1925 when Walter Chrysler started the company. It began with Maxwell Motor Company and later included the acquisition of the Dodge Brothers and Fargo Trucks. In 2014, Chrysler became a subsidiary of the FCA US LLC. Walter Chrysler founded the company in 1925. He reorganized the Maxwell Motor Company, which had been around since 1904, into his Chrysler Corporation. Originally, he had been hired by the company a few years prior to help with troubled operations. Previously, he had performed similar services for Willys-Overland car company. In 1924, Chrysler launched his first automobile. It featured a six-cylinder engine and was more affordable than most people thought it would be. In addition, it had an oil filter, full pressure lubrication, and a carburetor air filter. There were few automobiles during that time with qualities such as these. Chrysler also mass-produced the four-wheel hydraulic brake system. Patents were given to Lockheed, but the company didn’t stop there. They also created unique engine mounts made from rubber which reduced vibration. Furthermore, they invented a ridged rim wheel which prevented the wheel from flying off when deflated. This eventually made its way into the entire automotive industry. Maxwell decided to drop the Chrysler automobile in 1925. A year later, they introduced a four-cylinder model which was lower priced. These were still badged as a Maxwell. 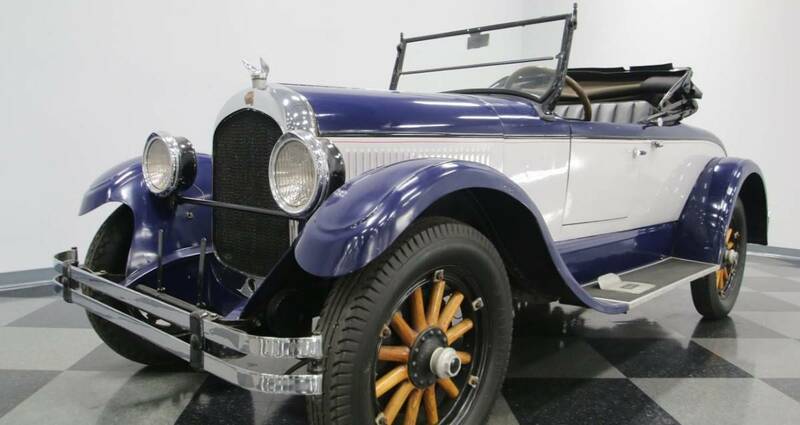 In 1928, with Chrysler being a young automaker, they started to divide their cars by function and price. That’s when the Plymouth brand was released, as a lower-priced option. They also introduced DeSoto, which would be their medium-price line. Then, in 1928, they purchased Dodge and continued their successful range of vehicles. Because of the extensive amount of testing and advanced engineering from the Chrysler Corporation, they quickly hit second place in United States-based sales during 1936. After that, they were able to hold onto that position through 1949. Chrysler used Imperial by name since 1926 but didn’t make it separate until 1955. That’s when they decide to spin off the higher-end brand to compete with Cadillac and Lincoln. Also, that same year, Philco worked with Chrysler to produce the first All-Transistor automobile radio. The Mopar model 914HR became a $150 option in a 1956 Imperial vehicle. In 1957, the company released the electronic fuel injection, otherwise known as EFI. It was the first in production and offered as an option on various 1958 models such as the Dodge D500, Plymouth Fury, DeSoto Adventurer, and Chrysler 300D. American Motors first attempted this feat with their Rambler Rebel from 1957. They had a transistor brain modulator, but they didn’t produce many cars due to mechanical problems. The 1957 Rambler’s EFI system ran well in warmer weather but had some trouble getting started when the temperatures dropped, so AMC chose not to use it in production vehicles. In addition, about 35 cars had a Bendix Electrojector system (fuel injection) as an option. EFI Chrysler owners became increasingly dissatisfied with their automobiles so the company retrofitted all of the models, except one, with carburetors instead. The other vehicle had the EFI problems resolved. Imperial released new body designs every couple of years. Each vehicle had a V8 engine plus automatic transmission. They also featured new technologies which would slowly make their way into the other Chrysler models. In 1971, however, Imperial got folded into the larger Chrysler brand. In 1960, the company introduced the Valiant as its own brand. It was part of their Plymouth line while the DeSoto was discontinued. During the 1960s, Chrysler took complete control over the Spanish Barreiros, British Rootes, and French Simca companies. They all became part of Chrysler Europe in 1967. In addition, they joined into a partnership with Mitsubishi in the 1970s. This led to them selling Mitsubishi automobiles as Plymouth and Dodge brands in the United States. During this same time, consumers started to demand smaller vehicles, but Chrysler didn’t know how to meet their demands. Because they were the smallest of the bigger automobile companies, they didn’t have the resourced to keep up with the burden from other competition plus stricter government regulations. That’s when they brought Lee Iacocca on board in 1978. Just a year later, he worked to secure government help for the company. Congress offered the Loan Guarantee Act which gave the company $1.5 billion in guarantees. To obtain this help, Chrysler needed to acquire $2 billion through aid or concessions apart from the government. By 1983, the company paid off all the loans plus interest. They did this through salary cuts and plant closures. That same year, the new Plymouth Voyager and Dodge Caravan were unveiled. This minivan was the first of its kind, and even helped to create a new car category. Two years later, in 1985, they purchased controlling interest over American Motors Corporation (AMC). This meant that the popular Jeep brand now resided underneath the Chrysler hat. AMC agreed to produce the Chrysler M rear-drive vehicle and the Dodge Omnis as well in their Wisconsin plant. Then, in 1987, they acquired another 47% ownership into AMC which was originally Renault’s. 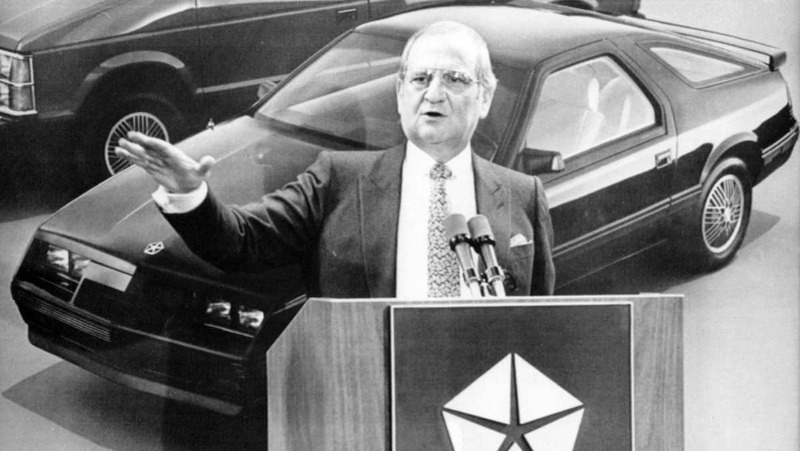 Iacocca wanted to develop the Jeep Grand Cherokee in Ontario. In addition, AMC dealers sold both the Jeep vehicles, but also Eagle and Chrysler models which further solidified the automaker’s reach. In 1998, Daimler-Benz AG, a German automaker, entered into a partnership with Chrysler to become DaimlerChrysler AG. After this merger, the Eagle line was retired. They also allowed Jeep to becomes its own division. By 2001, they also chose to discontinue the Plymouth line of vehicles. In 2001 through 2002, the PT Cruiser was built by Eurostar. Eventually, this Australian venture sold out to Magna International and became the Magna Steyr in 2002. They continued production of the Voyager through 2007, but the Jeep Commander, Jeep Grand Cherokee, and Chrysler 300C were all built at this plant from 2005 until 2010. In 2007, DaimlerChrysler decided to sell more than 80% of Chrysler’s shares to Cerberus Capital Management. While they still held almost 20% of the stake, the company reverted to the Chrysler LLC name. With the economy suffering during 2009, they were forced to file for Chapter 11 bankruptcy which allowed some time to restructure debt. In total, they defaulted on more than $4 billion worth of secured debts. All the assets of the company went to the “New Chrysler.” Their name became the Chrysler Group LLC. In addition, the government supported this deal by offering $8 billion worth of financing at 21%. By 2010, the Grand Cherokee quickly became the SUV with the most awards. This led to increased brand awareness for Ram, Dodge, Chrysler, and SRT as well, even though they were all separate from one another. During a 21-month period, 11 of the major models were refreshed. In addition, they discontinued the Caliber, Liberty, Nitro, and PT Cruiser. By 2011, they were able to repay $7.6 billion worth of loans back to the government. The United States Treasury had invested a total of $12.5 billion in the company and only recovered $11.2 billion. This left them at a $1.3 billion loss. That’s when Fiat purchased the shares the Treasury had. This acquisition allowed Chrysler to become a foreign-owned brand which helped the luxury division. They also rebadged the Chrysler 300 as the Lancia Thema in Europe. In 2014, Fiat went on to purchase VEBA’s remaining shares into the company. They were worth $3.65 billion. This led to reorganization between Chrysler and Fiat into Fiat Chrysler Automobiles. Their first vehicle was a newly redesigned 200. In 2017, their shares took a nosedive when the EPA made accusations of emissions cheating. The company strongly rejected the notions and shares went back up as the investors reassured the public. The scandal was eerily similar to Volkswagen and the government pushed to impose fines on the automaker. The company’s first electric vehicle was produced in 1979, but it was strictly an experiment. The ETV-1 was created as part of a cooperation together with the United States Department of Energy. Then, in 1992, they made a Dodge EPIC. It was their first concept minivan. They did go on to sell a little over 50 TEVans in 1993. By 1997, it received its second generation updates and changed its name to simply, EPIC. They discontinued that project in 1999. They did attempt to release the Durango and Aspen hybrid vehicles in 2008, but they only lasted for a few months. Then, the United States Department of Energy asked Chrysler to build a fleet of hybrid minivans and pickup trucks in 2009. To do this, they gave the company $70 million worth of grant money. Global Electric Motorcars was once owned by Chrysler. They produced electric vehicles that traveled at lower speeds. In 2011, Polaris Industries bought the company. By 2012, the CEO stated that the company’s focus would be on Diesel and CNG rather than electric or hybrid drivetrains. Then, in 2018, the Chrysler Pacifica Hybrid was released and started winning numerous awards. It was even listed as the “Best Car to Buy 2018 by Green Car Report.” This minivan featured room for eight, with a modified version of the company’s 3.6-liter V6 engine. It was paired with dual-electric motors plus a 16 kWh 360 V lithium-ion battery. This allowed the minivan to travel 560 miles and get 84 MPGe. The IIHS lists the 2018 Chrysler Pacifica as a Top Safety Pick even though it only received an “Acceptable” rating for Passenger Side Small Overlap Front. In addition, they only ranked it “Acceptable” for headlights and “”Marginal” in relation to the Child Seat Anchors. The Chrysler 200 was a Top Safety Pick for 2017, but other than that, no other vehicles are named. The NHTSA also awarded the 2018 Chrysler Pacifica with a five-star Overall Rating. It received five stars for both Frontal and Side Crash, but only four stars for Rollover. In comparison, they listed the Chrysler 300 with an overall four-star rating. Chrysler vehicles feature various safety equipment that allows them to perform well on the road. The 360-degree Surround View Camera uses four cameras to provide an overall picture of what’s occurring outside of the vehicle. They also offer the Full-Speed Forward Collision Warning-Plus in conjunction with Automated Emergency Braking. These systems protect drivers and passengers in the event that a crash is imminent. There are also some Parking Assistance Technologies available such as ParkSense Rear Park Assist with Stop plus the Parallel and Perpendicular Park Assist System. Additional safety features include Adaptive Cruise Control with Stop and Go, Rear Cross Path Detection, LaneSense Lane Departure Warning with Lane Keeping Assist, and a Blind Spot Monitoring System. Wards Auto estimates that next to Volkswagen, Chrysler has the worst recall rate by manufacturer. This is not good news for owners of their vehicles. The silver lining is that only 83.2% of their recalls could’ve had consequences of death, fire, injury, crash, or accident. This is far lower than most others that were evaluated. However, the company only initiated their own recalls 37.5% of the time. This number is incredibly low and means that the NHTSA forced recalls for them more often than not. Forbes also ranked the automaker near the top of the recall by manufacturer list. In 2017, Chrysler recalled over 150,000 Pacifica minivans because there was a glitch in their engine software that led to the vans stalling. Mainly this occurred when the van first started, idled, or when driving at a low speed. In 2018, they also recalled almost five million vehicles because of a defect in the cruise control which stopped drivers from being able to shut it off. Models also included Jeep, Ram, and Dodge vehicles. While there had been no major accidents as a result of the recall, drivers were suffering from the cruise control getting stuck on. The Chrysler models that were affected included the 200 sedan, 300 sedan, and Pacifica minivan. Chrysler ranked with only four companies for the top ratings in Consumer Satisfaction according to Consumer Reports. The other top automakers are Genesis, Porsche, and Tesla. Unfortunately, they didn’t rank them as high in Predicted Reliability. Instead, they landed right around the middle of the pack. In 2017, the Pacifica was ranked the highest in initial quality by J.D. Power for the minivan category. They were given an 8/10 for Overall Dependability, as well as Mechanical, Exterior and Interior, plus Features and Controls. The second place winner was the Dodge Grand Caravan. As far as car ownership goes for the long-term, Chrysler ranks on the lower side. When evaluated by Consumer Reports for the three-year average maintenance or repair cost, the total is just $90. Even at the ten-year mark that number only rises to an average of $515, which isn’t bad considering some of the other brand’s costs. One thing the automaker doesn’t lack is awards. They’ve been the winner of numerous prestigious honors through the years. Here are just a few of them. The automaker works hard to be a part of community outreach through multiple organizations. They partner with No Kid Hungry to stop childhood hunger in the United States. They also head up Chrysler’s Cars 4 Classrooms. This is done in partnership with the National PTA with a main focus on Take Your Family to School Week. Each school that uses the Pacifica for events earns up to $3,000 from the company. 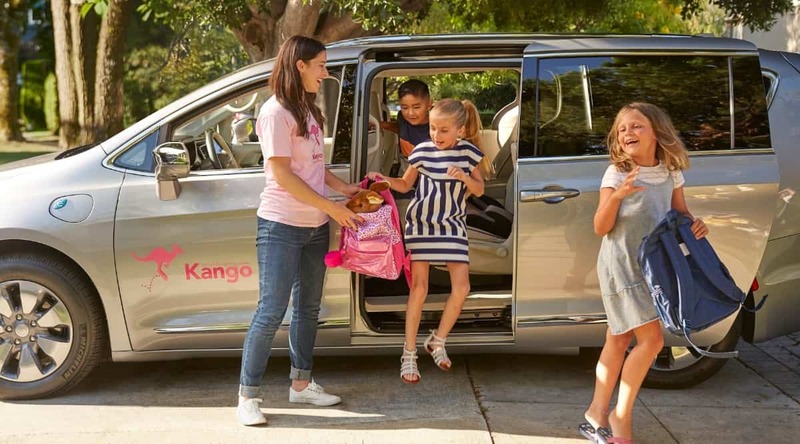 They also partner with Kango to offer Ridesharing for Kids. This dependable service allows parents to have peace of mind when their children need a ride to school. All drivers are background-checked and prescreened. The automaker also wants to support active mothers through Another Mother Runner. The Pacifica Hybrid is the official vehicle of the event. Another well-known partnership is with the Give a Dog a Job program. They work with BraunAbility to provide assistance animals to disabled individuals. 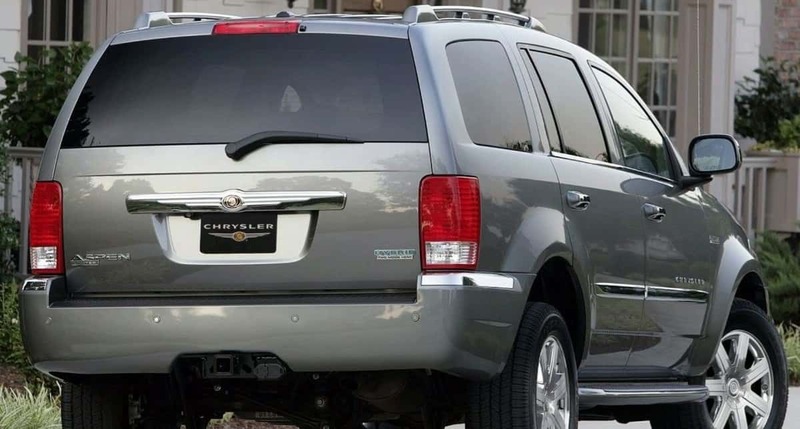 Chrysler has been a part of numerous operations other than just making passenger vehicles. During World War II, their facilities were strictly devoted to manufacturing military vehicles. They even made some V12 and V16 engines for airplanes that produced 2,500 horsepower. These never made it to production, however. In the 1950s, they also built some air raid sirens for the Cold War. These were designed with Hemi V8 motors. They also played a part in the radar field. With the SCR-584, produced at MIT, Chrysler helped to change the parabola from aluminum to steel. To further reduce the weight, they drilled 6,000 holes in the face, which didn’t affect the radar pattern. In addition, the drive mechanism received a redesign because of the automaker’s research into gears and differentials. They’ve also made considerable contributions for space travel as well as machinery for the wars throughout the years. Chrysler is part of the FCA US LLC. They are based out of Auburn Hills, Michigan and are considered to be one of the “Big Three” American automobile manufacturers. Chrysler has been in operation since 1925 when Walter P. Chrysler founded the company. The current CEO for FCA US LLC is Sergio Marchionne, while the CEO for Chrysler is Michael Manley (CEO). They’ve topped the Forbes Global 2000 List in spot # 128 at $35 Billion. The company has 237,000 employees and is based out of London, but about 77,000 of those workers are found in North America. Other rankings with Forbes include #36 in Sales, #394 America’s Best Employers, and #21 Top Multinational Performers. In 2017, 4.74 million FCA units were shipped. That’s 20,000 more than the previous year, but the company’s goal has been to reach seven million a year. FCA US LLC is the parent company of Chrysler and several other popular brands such as Dodge, Jeep, Ram, Fiat, and Maserati. They are also the owner of Mopar service and parts. In total, the company operates numerous production plants worldwide. Of those, production of Chrysler-branded vehicles occurs in two main locations. The Chrysler 300 is assembled in Brampton, Ontario, Canada while the Pacifica sees assembly in Windsor, Ontario, Canada. Since 1925, there have been several logos used by the company. At first, it was simply a round medallion that featured a ribbon with the word CHRYSLER written on it. Then, in 1955, the Forward Look design took hold. It featured two boomerang shapes which overlapped one another. In 1962, they began using the Pentastar design. This was made from five triangles with the bases of the triangles forming the sides of its pentagon shape. The gaps found in the middle of the logo formed a unique star. This became one of their most popular logos of all time. Its final appearance was on a 1996 Voyager and a few minivans through 2000. Some dealerships still have signage with the logo, but it’s now used to rank a Five Star Dealer. In 1996, they revived an older design for their brand. The original medallion is surrounded by silver wings. This winged logo is found on the automobiles to this day. Starting in 2006, the company began offering their Lifetime Powertrain Warranty, which was a first of its kind. While this warranty was non-transferrable, it did cover the vehicle for its lifetime. This was later replaced by their current five-year/100,000 mile warranty that is transferable. Then, in 2008, they launched the “Let’s Refuel America” campaign. This ad focused on the rising gas price concern that most consumers had. The campaign guaranteed that owners wouldn’t pay more than $2.99 a gallon for three years. With the purchase of their new vehicle, they received a gas card that lowered the price for them. In 2011, they partnered with Eminem to launch the “Imported from Detroit” campaign. The first ad aired over the Super Bowl. It was also when they highlighted the entire lineup with the newest updates. The company had to sue Moda Group LLC for selling merchandise featuring the logo on it, but they didn’t win. Another lawsuit brought against Chrysler claimed they misled people into believing that the Detroit location produced vehicles. The case never went to court, but an undisclosed settlement occurred in 2012. In 2012, they took another turn at Super Bowl advertising with “Half Time in America.” Many conservatives suggested that the ads implied President Obama deserved a second term. In their 2014 “America’s Import” campaign, the company introduced the 200 by taunting German and Japanese automakers. Most people don’t think about Chrysler for the motorsports, but the company boasts of success in some motor racing. In 1928, they entered a team of four roadsters into the 24-hour Le Mans endurance race. These cars featured an L-head inline-six cylinder engine and weighed over 3,000 pounds. The cars had a light cream color paint plus featured black trim and fenders. The drivers were clearly the underdogs in the race but ended up in third and fourth place. This made them proud as Chrysler showed reliability and speed along with a sophisticated design. In addition, the company has a part in ARCA racing because they developed engines for the series during the late 1980s. Their V8s offered both power and reliability. While several museums house Chrysler vehicles, the most popular spot to learn about the brand was at The Walter P. Chrysler Museum. It was located in Auburn Hills, Michigan and operated from 1999 through 2012, with a short reopening in 2016. The museum also featured several other brands such as Dodge, Plymouth, Jeep, Hudson, AMC, Rambler, and Nash. The building itself contained three levels and about 55,000 square feet of exhibition space. Visitors learned about the automotive industry’s history, the life of Walter P. Chrysler, and got to view many of the original models. Since they’ve closed the doors to the museum, it’s been converted into office space for Alfa Romeo and Maserati. When looking at a Chrysler for lease or a Chrysler for sale, many people turn to financial services to aid in the purchase. This is true even when searching for a pre-owned certified vehicle. All programs run through Chrysler Capital, which is based in Dallas, Texas. They offer consumers many financing options, as well as some end-of-lease plans that are flexible. Their affiliate rewards are available for employees of any partner company. This program gives an additional 1% below dealer invoice plus current incentives. Their Military Bonus Cash program takes up to $500 off for both active members and veterans. In addition, they offer assistance for disabilities with up to $1000 back to reduce the burden of installing adaptive driver or passenger equipment on the vehicle. All Chrysler vehicles come with a 5-year/60,000-mile powertrain limited warranty. They also offer a 5-year-/60,000 mile Roadside Assistance plan. This includes fuel delivery, battery jumpstart, towing, and flat tire service. Additional warranties for parts and accessories are handled through Mopar. There are about 2,500 dealerships in the United States as part of the FCA US LLC group. When you want to find a Chrysler dealer, it’s important to look for one of the awards given by the company. Only the best Chrysler dealerships end up with these prestigious honors. One of the awards is the Customer First Award for Excellence. It’s given to locations with a dedication to customers that excel with high levels of training certifications for employees, and performance. They also use the Pentastar Club status to mark the locations that have the top annual retail sales. J.D. Power maintains a list of the best dealerships in the country. Right now there are two listed in Massachusetts; Herb Chambers Chrysler Dodge Jeep Ram FIAT of Danvers and Herb Chambers Chrysler Dodge Jeep Ram FIAT of Millbury. The third on the list is Terry Henricks Chrysler Dodge Jeep Ram from Archbold, Ohio. Mopar also offers some coupons for service at Chrysler dealers. There’s even an FCA DrivePlus Mastercard for customers. With no annual fee, it allows purchasers to receive rewards on select items. There’s also a $100 statement credit on the first FCA US purchase. The rewards are available to use on vehicle maintenance, tire rotations, oil changes, accessories, and toward the next vehicle purchase. 1 – Twelve years after the founding, the automaker already became the largest in the world. They even surpassed Ford, with sights set on taking over the first position from General Motors. Walter P. Chrysler passed away in 1940, so he never met that goal. 2 – The 300-C broke the speed record in 1960 at over 175 mph. 3 – Chrysler acquired the Lamborghini brand in 1987. Together, they produced the fastest car ever at the time, the Diablo. The company is better known for the acquisition of the Jeep and Eagle brands. 4 – The Chrysler Sebring debuted to the public in 1996. It quickly became the most popular convertible and car of its class. Where is the Chrysler 200 Battery? The company recommends changing out the battery every four years. Replacing the battery in a Chrysler 200 involves removing terminals. When reconnected, your radio presets need to be reset. The transmission learned how you drove which also gets reset. This provides some new driving dynamics after battery replacement. Who Owns Chrysler? Is Chrysler GM? Chrysler is an American subsidiary of Fiat Chrysler Automobiles, otherwise known as FCA US LLC. This is part of the same group that runs Jeep, Dodge, and Fiat. Are Chryslers Good Cars? Recent studies show that consumer satisfaction for the brand remains high, but dependability seems to stay about average among automakers. Does the Chrysler Pacifica Have AWD? For the 2018 model year, all six trim levels of the Pacifica come with front-wheel drive. In addition, the hybrid models also come with front-wheel drive. Where is Chrysler’s Headquarters? Their United States headquarters are found in Auburn Hills, Michigan. Their parent company, Fiat Chrysler Automobiles N.V. is an Italian-American automaker, registered for business in the Netherlands with main offices in the U.K.
© Copyright 2010 - 2019 AutoWise. All rights reserved.